The World of Crime: Twenty Nine Years ago today: The horrific murder of Anita Cobby. Twenty Nine Years ago today: The horrific murder of Anita Cobby. 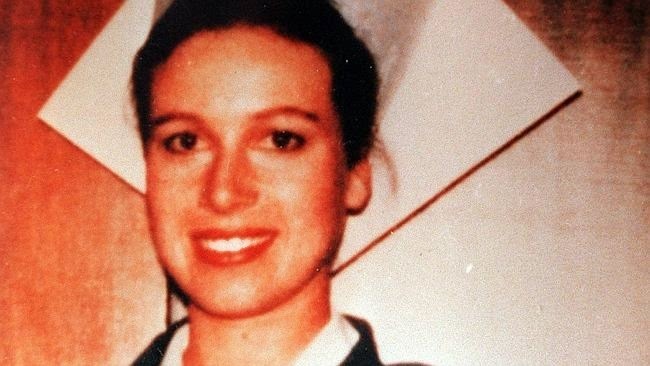 The murder of Anita Cobby has haunted Australia for 29 years. Anita was a registered nurse, and a former beauty pageant winner. She was a strikingly beautiful girl, who could have been anyone’s sister, neighbour, friend. But a pack of inhuman animals killed her on February 2nd 1986. Five men, including three brothers, took her life in the most brutal way imaginable. Twenty-six year old Anita worked in Sydney and commuted to her home in the suburb of Blacktown. On the day of her death she had finished her shift at the hospital at 3pm, and then met friends for dinner in Redfern, another suburb of Sydney. Usually she caught the train to Blacktown station, then called her dad to come pick her up. That night the public phone was out of order, and there were no taxis around, so Anita decided to walk home. Around 10pm, as Anita walked along Newton Road Blacktown, a car with five men in it pulled alongside her. Two men jumped out and dragged Anita, kicking and screaming, into the car. Two kids in a house nearby heard the screaming and witnessed Anita being forced into the car. The eldest, a thirteen year old boy, tried to run to her rescue, but he was too late. He ran home and phoned the police. When his older brother came home, he explained what he had witnessed, and the older brother went searching for the car. He found it, but it was empty, and he believed he was looking for a different model car. The killers later admitted they were hiding in the long grass nearby. After nearly being caught with their victim, one of the killers slit her throat so deeply he nearly decapitated her. She was conscious for at least 3 minutes as she bled to death. Her body was found two days later and extensive bruising was evident, on top of the fatal injuries. She had been repeatedly raped, beaten and had her fingers broken. Anita had truly suffered before she had died. Police offered a $50,000 reward for information, and staged a re-enactment of Anita’s movements using a police officer dressed in similar clothing. They received a tip which led to the arrest of John Travers, Michael Murdoch, and Les, Michael and Gary Murphy. They all had a history of violence, and Travers had a history of carrying a knife. While in custody Travers requested a friend be called so that she could bring him in some cigarettes. Police spoke to the friend first, and she agreed to help with the investigation. She wore a recording device while talking to Travers and obtained a confession. All five were charged with murder. The five accused had over fifty prior convictions between them. While most offences are committed by someone known to the victim, this was different. This was a pack of five strangers who showed their victim no mercy. Blacktown was reeling. Australia was reeling. Many people called for the reintroduction of the death penalty. Anita’s parents were incredibly strong in the face of such awful circumstances. They founded the Victims of Homicide Support Group. Her sister Kathryn continues to advocate for an end to violence against women. Today, is the 29th anniversary of Anita's death. Her sister Kathryn, along with the investigating police officer, is holding a public memorial to honour Anita. While we can’t all attend the memorial, much of Australia is there in spirit. Ivan Milat: The Backpacker Murderer.